Nellie Fisher Slayden specializes in Intellectual Property Law. Her practice focuses on complex intellectual property and commercial litigation in numerous courts across the U.S. 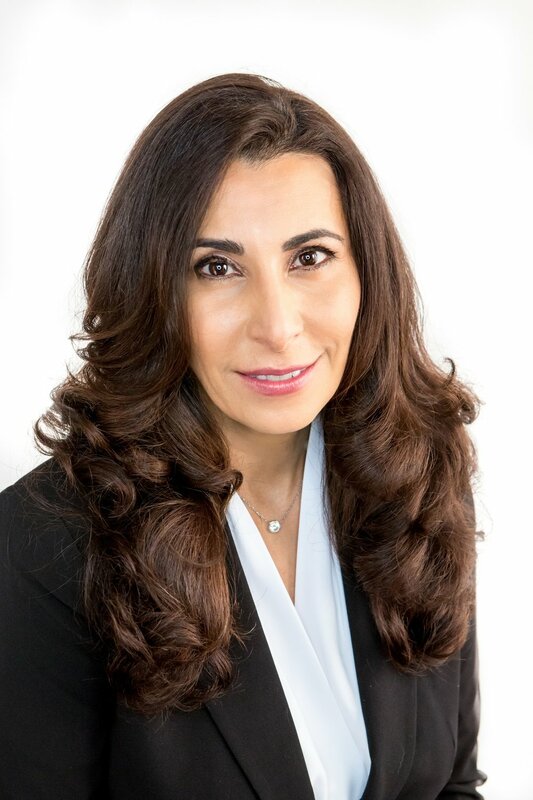 Her experience spans all phases of IP litigation from pre-trial due diligence to final appeal before the Federal Circuit and administrative proceedings before US regulatory bodies. She has served clients from both the Litigation and Intellectual Property Law departments of leading global law firms. In addition to industry experience as an engineer and project manager, Ms. Slayden’s technical experience covers a broad variety of technologies, including blood glucose monitoring systems, integrated circuit manufacturing, fiber optics, hybrid broadcast systems, computer integrated telephony, automatic identification and machine vision, polymer catalysis, multilayer polymer films, heavy machinery, hybrid mechanical and control devices, hydrocarbon production and reservoir recovery systems, hydrocarbon transportation systems, and refining and petrochemical processing. Previously, Ms. Slayden counseled at the AmLaw 50 law firm of King & Spalding LLP in the Department of Intellectual Property. She also practiced at the international law firm of Baker Botts LLP in both the Litigation Department (Austin) and the Intellectual Property Law Department (Houston). During law school, Ms. Slayden was privileged to serve as the first Judicial Intern for the Honorable Ewing Werlein, Jr., United States District Judge for the Southern District of Texas, Houston. Ms. Slayden's industry experience includes IP Counsel at Shell Oil Company, where she advised various business clients. She was also tasked with presenting US IP litigation strategy to her European counterparts and executive leadership at Royal Dutch Shell in The Hague. Prior to law school, Ms. Slayden gained first-hand engineering experience as a Process Systems Engineer and Project Leader at KBR, a global technology, engineering, and construction company serving the petrochemical industries. Product clearance and freedom-to-operate counseling for numerous Fortune 100 organizations. Negotiate and draft a variety of intellectual property licenses and technology agreements for Fortune 100 clients. Selected by consortium of large utilities to lead negotiations against a nationally-known patent licensing entity; considered and complied with anti-trust laws. Patent portfolio management and strategy for Fortune 100 and Global 50 entities. Keranos, LLC v. Analog Devices, Inc. et al, Case No. 2010-cv-00207 (Eastern District of Texas). Representing Microchip and other defendants in patent infringement suit involving nonvolatile memory chips. Microchip Technology, Inc. et al. v. United Module Corp. et al., Case No. 2010-cv-04241 (Northern District of California) and related cases: Freescale Semiconductors, Inc. et al. v. United Module Corp. et al., Case No. 2010-cv-05196; Samsung Elect. Co, Ltd. et al.v. United Module Corp. et al, Case No. Taiwan Semiconductor Mfg. Co., Ltd. v. United Module Corp. et al., Case No. 2010-cv-05290. Representing Microchip and other declaratory judgment plaintiffs in patent suits involving nonvolatile memory chip. Abbott Diabetes Care Inc. et al. v. Roche Diagnostics Corp. et al., Case No. 2005cv03117 (Northern District of California). Represented plaintiffs in patent infringement suit involving blood glucose monitoring products. Administaff, Inc. v. Pacific Staff Leasing, Inc., Civil Action No. CV-S-01-0214 (District of Nevada). Represented Administaff in Internet domain name dispute involving the Lanham Act and successfully obtained consent decree from defendant. Amkor Technology, Inc. v. Alcatel Microelectronics, N.V. et al., Civil Action No. 02-3156 (Eastern District of Pennsylvania). Represented Alcatel and ST Microelectronics in breach of contract and breach of warranty dispute involving semiconductor fabrication. Strategy involved consideration to parallel dispute resolution in Europe. Doyle et al. v. Crain Industries, Inc. et al., Appeal No. 1-1599 (Federal Circuit). Represented plaintiffs-appellants in Federal Circuit appeal of patent infringement suit involving open-cell polyurethane foam manufacturing process. Member of successful post-trial and appellate team. Federal Circuit reversed unfavorable trial court holdings based on appellants’ brief (no oral argument by appellant). Exxon Corp. et al. v. Mobil Oil Corp. et al., Civil Action No. H-96-37959 (Southern District of Texas). Patent infringement suit involving metallocene catalysis for polymer production. Member of core litigation team for plaintiff. Second chair at trial during key expert testimony. Jury returned favorable verdict of patent valid and infringed. Jury award and other damages exceeded $300 million. No appeal due to merger of parties. “Top 10 Patent Damage Awards for All Time.” Top Patent Damage Awards & Settlements, Intellectual Property Today (March 2003). Exxon Corp. et al. v. Phillips Petroleum Co. Inc., et al., Civil Action No. H-98- (Southern District of Texas). Represented Exxon in patent infringement suit involving metallocene catalysis for polymer production. Jury found patents infringed. No appeal. Deals & Suits, The Texas Lawyer (May 15, 2000); Successful Strategies from Ten of America’s Top Litigators, The National Law Journal (August 14, 2000); Deals & Suits of 2000, The Texas Legal Almanac (December 11, 2000); Defense Verdicts of the Year, The National Law Journal (March 19, 2001). Intellectual Property Development, Inc. et al. v. UA Columbia of Westchester, Inc. (AT&T Broadband) et al., Appeal No. 02-1248-1249 (Federal Circuit). Appeal of patent infringement suit involving hybrid fiber coax cable broadcast systems where plaintiff-appellee sought $100+ million in damages. Member of core appellate team for defendant including co-drafting winning appeal brief. Summary judgment of non-infringement affirmed with no recovery of damages by plaintiff. Intellectual Property Development, Inc. et al. v. TCI Southeast Inc. et al. (AT&T Broadband) , Civil Action No. 00-686 (District of Delaware); Intellectual Property Development, Inc. et al. v. MediaOne Group, Inc. et al, Civil Action No. 01-485 (District of Delaware. ; Intellectual Property Development, Inc. et al. v. TCI Communications, Inc. et al., (AT&T Broadband) Civil Action No. 00-M-1505 (District of Colorado).Represented AT&T defendants in multi-district litigations seeking dismissal. Cases dismissed based on success in related case. Intellectual Property Development, Inc. et al. v. Telecommunications Inc. (AT&T Broadband) , Civil Action No. 94-CV-6296 (Southern District of New York). Plaintiffs sought $100+ million in damages. Member of core team that successfully defended TCI (AT&T) in patent infringement suit involving hybrid optical cable broadcast systems. Co-drafted winning summary judgment motion of non-infringement and invalidity under Section 112, which was affirmed by the Federal Circuit. Lemelson Medical, Education & Research Foundation, L.P. v. Alcatel, USA, Inc. et al., Civil Action No. CV-00-660 (District of Arizona). Defense of patent infringement suit involving semiconductor manufacturing, machine vision and automatic identification. *Phillips Petroleum Co. Inc., et al. v. Exxon Corp. *, Civil Action No. 98-638 (District of Delaware). Represented defendant in patent infringement suit involving metallocene catalysis for polymer production. Resulted in confidential settlement and cross-license. Tulip Computers International B.V. v. Dell Computer Corp. (District of Delaware). Plaintiff sought over $400 million in damages in patent infringement case involving personal computer form factors. Member of core defense team, which obtained summary judgment of non-infringement on half the products at issue prior to trial. Case settled very favorably for Dell before jury deliberation.